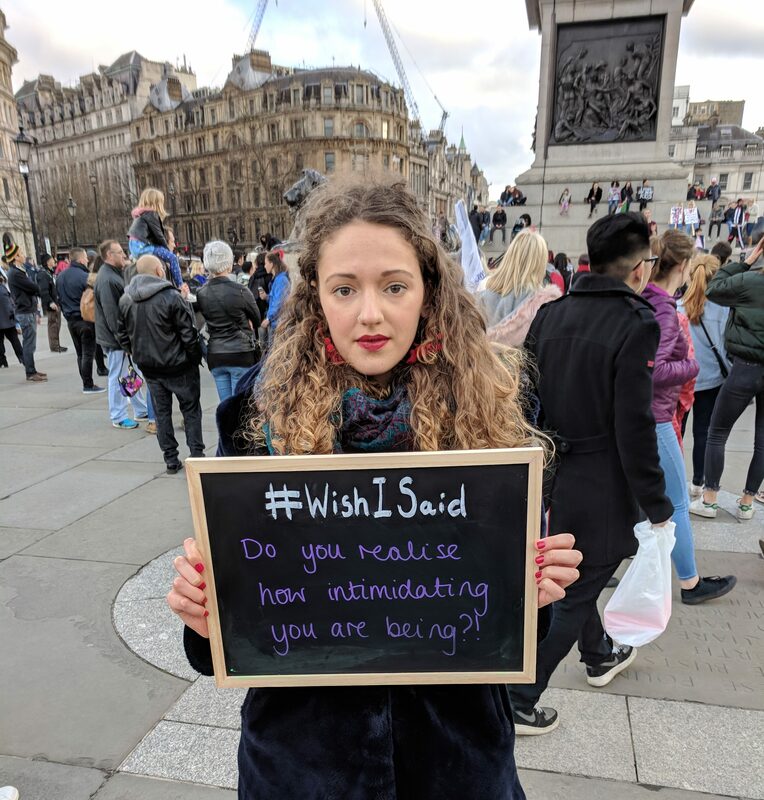 #WishISaid wants to get you talking about Sexual Harassment in public places like the street, mostly of women and girls, perpetrated mostly by men and boys. 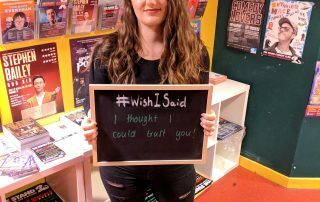 We want you to know that #WishISaid is not about finding those magic words that we could have said to stop Sexual Harassment in its tracks! We believe that it is never the victim’s responsibility to do that. 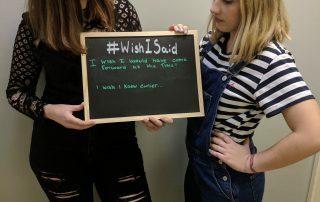 We are proud to share the next instalment of our #wishisaid campaign, starring amazing local talent, written directed & produced by our fabulous Activist group. 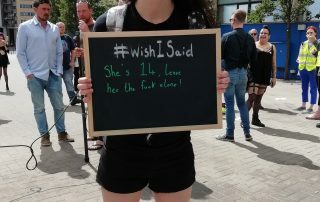 Street harassment can be stopped, not just by those it’s targeted at, but by those who witness it! 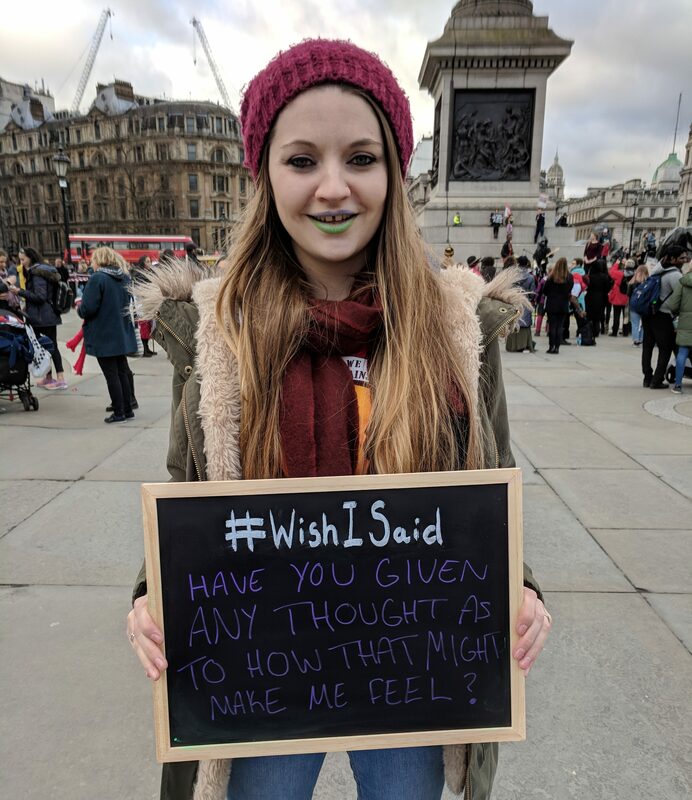 Tell us what you #wishisaid. 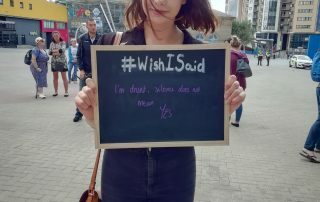 Our #WishISaid animation aims to communicate how it can feel to experience verbal sexual harassment in public places. Special thanks go to the team of student volunteers at Northumbria University for their professionalism and commitment in producing this collaborative piece. Please like, share, spread the message, and let’s break the silence on sexual harassment. 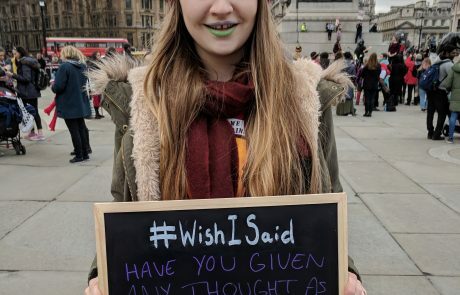 This shows different people, in different situations, telling us what they wish they had said when they experienced sexual harassment, or when they witnessed it. There are photos on our social media platforms now and we will be adding more all of the time. 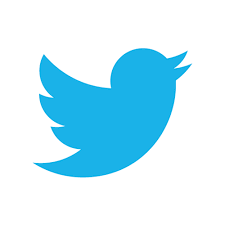 Click on the icons to check out our social media. 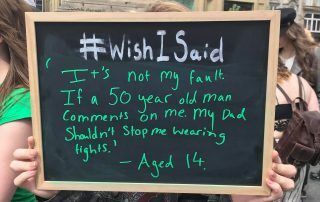 We want to get as many people as possible talking about Sexual Harassment with an emphasis on what happens in public spaces like the street. 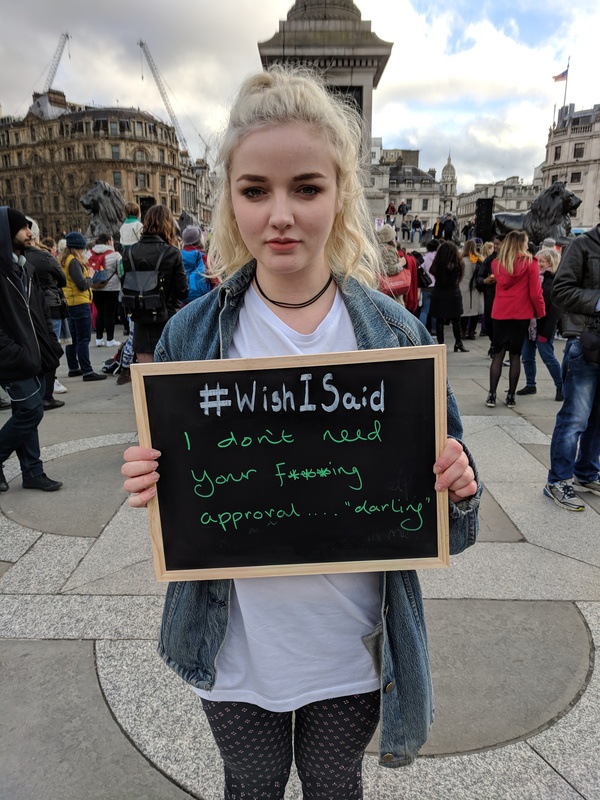 We are focussing on the experiences of people aged 18-24 years old (because that’s what our fancy social media research told us we should do!). Don’t worry if you don’t fit into that age category though. 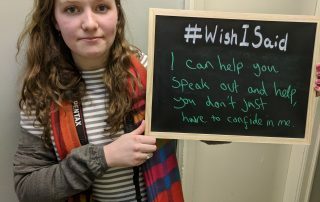 We still want to hear from you, we know that experiences of Sexual Harassment don’t end on your 25th birthday! We also want as many people as possible to share our photos, animation and film. 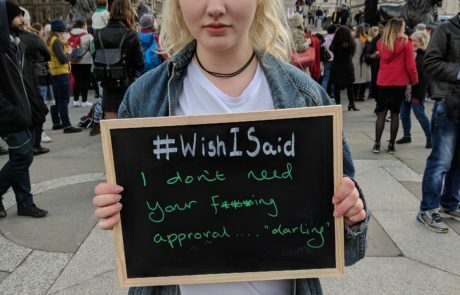 We want you to help make changes to attitudes that say Sexual Harassment and other types of sexual violence are normal and “ok”. We know that they aren’t and that they have a real and a sometimes long-term impact on those who experience them. 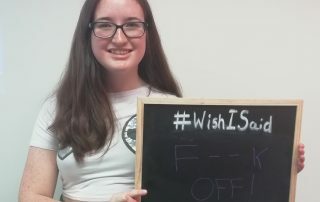 We are asking you to help us create a society that says that Sexual Harassment is not “banter.” Sexual Harassment is abuse, and it has to end. 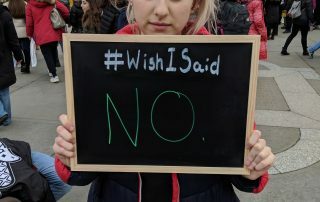 We’re starting with Sexual Harassment because we know that it’s part of the bigger picture. 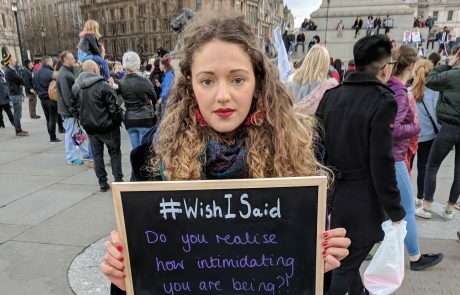 Accepting Sexual Harassment as part of everyday life leads to it being seen as normal. 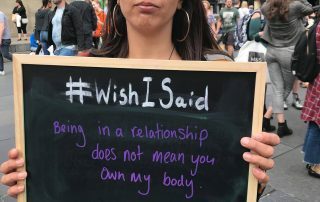 We believe this builds a foundation for other types of sexual violence. There’s new content all of the time. Help us spread the word and share share share across any and all Social Media!